This wonderful bag dates from the mid 19th century. It features a captivating colour and pristine cut steel - the perfect combination. Very Good - Some wear to the silk lining of the bag. This is consistent with age and use. 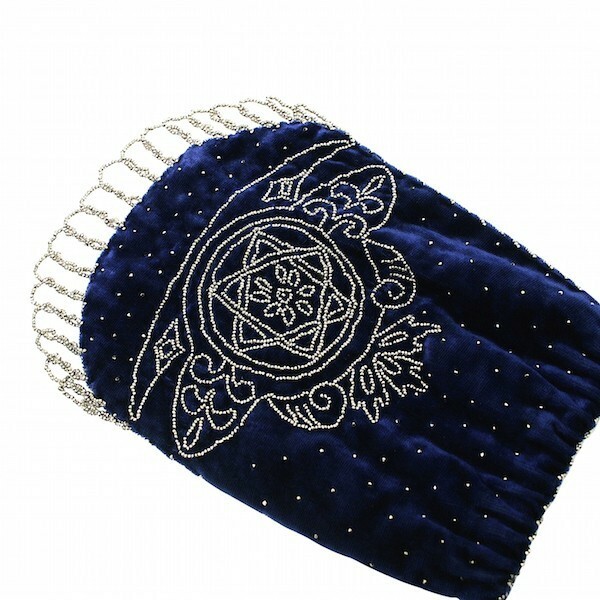 It is not visible when worn. 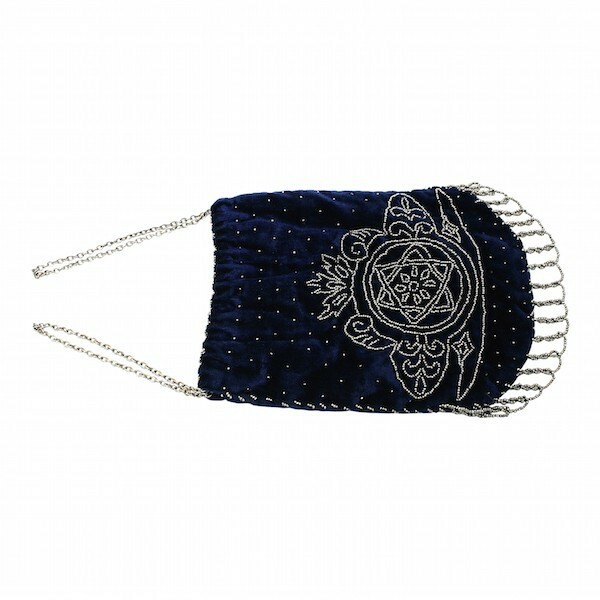 This evening bag is made from deep blue velvet and is detailed with a design and tassels constructed from cut steel beads. 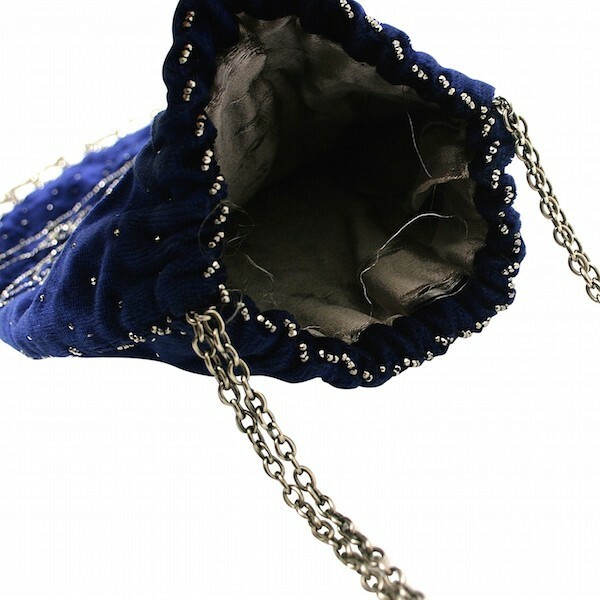 It is lined with silver coloured silk and fastens with a drawstring, pulled open and closed by silver tone metal open link chain. The bag features one large central compartment. The bag measures 18.5cm x 14cm. From the late 1700s through to the mid 1800s, cut steel was a highly popular material in accessories manufacture. It sparkled like diamonds, but was less expensive. However, it catered for a middle class of enthusiast being more costly than paste. It was a particularly coveted material in French society, when Napoleon's second Empress, Marie-Louise commissioned sets made out of cut steel and she made it very fashionable indeed. 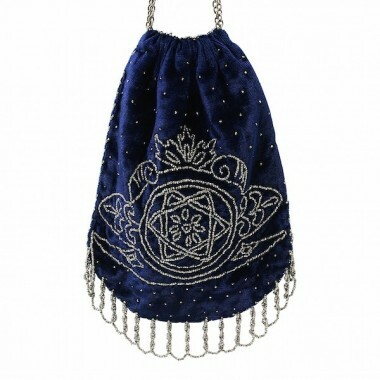 This evening bag would be perfect paired with a midnight blue blazer for evening cocktails.